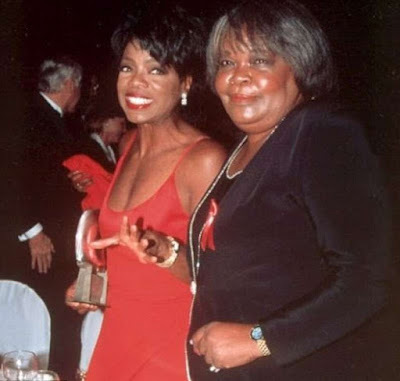 It has been confirmed by E!News that Oprah Winfrey 's mother, Vernita Lee, died on Thanksgiving at 83. The television titan was not with Lee at the time of her passing, as she was celebrating the holiday in Santa Barbara, Calif, with girls from the school she opened in South Africa in 2007. Winfrey broke her silence hours after news of Lee's death was made public. She wrote on Instagram "Thank you all for your kind words and condolences regarding my mother Vernita Lee's passing,It gives our family great comfort knowing she lived a good life and is now at peace."